The announcements may be coming fast and furious out of Google I/O today, but the Nexus Q and other products unveiled there aren't the only exciting new technologies to appear on the horizon this week. One of particular interest for Linux fans, in fact, was quietly rolled out by Asus recently, apparently without any fanfare at all. It's the new EeePC 1225C, an 11.6-inch netbook device that features the all new Intel Atom Cedar Trail dual-core CPU and Canonical's popular Ubuntu Linux operating system. It's becoming increasingly common to see PCs preloaded with Ubuntu, and it wasn't long ago that I wrote about a few new examples from Linux-focused vendor System76. Asus, it should be noted, already has a Linux-friendly history, too; this time last year I was writing about a MeeGo-based offering in its lineup, for example. 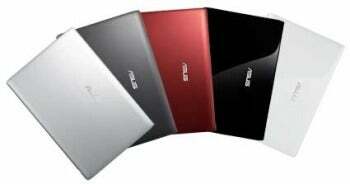 Now, this latest entry from Asus adds another compelling choice to the mix. Originally spotted by Liliputing, the new device offers an 11.6-inch LED backlit LCD screen, a Chiclet keyboard, and a multi-touch pad. The new Intel Atom Cedar Trail dual-core CPU delivers 15 percent faster processing speeds and a threefold increase in graphics performance, Asus says, while built-in 802.11b/g/n Wi-Fi and optional Bluetooth 3.0 make connectivity easy. Also included are 2GB of memory, up to 500GB of hard disk space, a 0.3 MP camera, and optional USB 3.0. Available in five colors, the EeePC 1225C is available on Amazon for $422, albeit without the free operating system installed. When the full lineup will be available, and at what price, isn't yet clear. Still, as Windows 8 approaches, there are bound to be plenty of consumers out there looking for an alternative. I'm thinking there's going to be a growing need for machines like these.